Home » Technology » Networking » How to Connect Your Computer to the Internet? 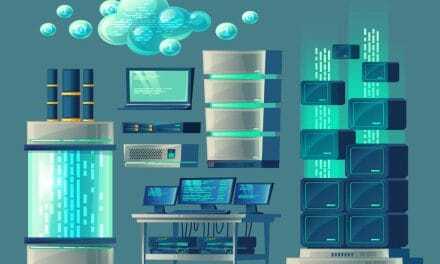 Computer networking is one of the emerging computer technologies important for any organization, small or large, or even for all individuals. It facilitates the easy sharing of information between different computers as well as allows the local sharing of data, and connects a network with other networks. Most of the networks mostly hook up to the global network called the internet. 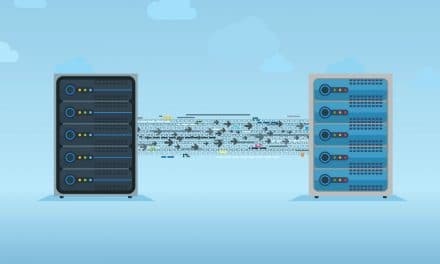 The internet, as we know, is a networking infrastructure connecting multiple computers globally and forms a network to facilitate communication between them. A high-speed internet connection is recommended for connecting the computers on any network to the internet. The steps to connect your device to the internet is strongly dependent on the kind of internet access you have, which in turn is related to the available ISPs in your area. Let us begin with the different types of internet connections available these days. To connect to the internet, you need to have specific hardware and select an Internet Service Provider (ISP). The kind of internet connection that you choose mostly relies on the ISPs available in your area and the services they can provide. It is the slowest kind of internet connection and should be avoided unless it is the only service available in your locality. It uses your phone line for internet access and does not allow you to use the internet in tandem with your landline. You will require multiple phone lines to use both of them simultaneously. Dial-up is almost obsolete now. DSL is a type of broadband connection and is remarkably faster than dial-up. It connects to the Internet via phone lines. But DSL allows you to use the internet and your phone line simultaneously. Cable is another kind of broadband service and is very fast. Instead of opting for a phone line, you can ask your local cable company to provide internet service via the cable bringing the TV programming. Satellite connection uses broadband but is devoid of any phone or cable lines. It connects to the internet through the satellites that orbit the Earth. You need to incorporate a satellite dish for the purpose. That is why it can be used nearly anywhere worldwide. However, weather changes can affect the connectivity. It is comparatively slower than DSL or cable. While carrying a wireless-enabled device like laptop or smartphone or tablet, if you are under the range of any wireless hotspot connection then your device automatically finds the connection. It makes the internet access available to you for a fee or free. Such hotspots are available at different public places like cafe, hotels, malls, airports, railway stations, etc. I am sure you are aware of 3G and 4G services. You can connect to the internet from your mobile networks by the 3G and 4G services. However, they are not as fast as DSL or cable. Also, there might be limitations in the amount of data usage per month. How to select an Internet Service Provider (ISP)? 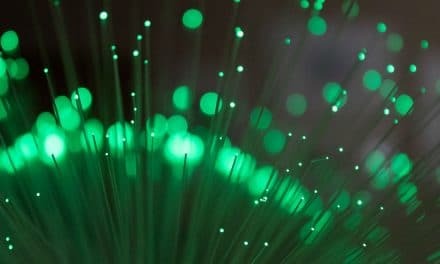 As you are now aware of the different types of Internet connections, you are probably keen to know which ISP you should choose and how. Well, choosing an ISP, as stated earlier, will largely depend on their availability in your locality. You can consult your friends and neighbors about the ISPs they use. You can readily get to know about the ISPs in this way. There are also certain points you should consider while selecting an ISP, as discussed below. Different ISPs provide different upload and download speed, usually measured in Mbps (megabits per second). For example, if you require an internet connection for email and social networking only, a slower internet connection (like 2 to 5 Mbps) will serve the purpose. But a faster connection (5 Mbps and above) is demanded for downloading files or streaming videos. ISPs may restrict the kinds of activities you can do. Also, there may be data caps limiting your data usage. So make sure about all the terms. Your ISP may promise you that there will be a proper internet connection all the time and if it does not satisfy the criteria, they will refund a portion of your money. Make sure they live up to what they say and are trustworthy. Such promises are documented in the Service Level Agreement (SLA). You must figure out how readily your ISP can help you when in trouble. Find out if they have provision to be contacted by phone call, email or WhatsApp. What hardware and software are required to connect to the Internet? The hardware necessary for connecting to the internet is a modem or a router. The kind of internet access you have will determine the type of modem required. Use a telephone modem for dial-up access, DSL modem for DSL service, cable modem for cable access and satellite adapter for satellite service. Your ISP offers you a modem for a fee. Or else, you can buy it separately at your own cost. A router is used when connecting many computers and other devices to a single internet connection, also called the home network. Each device then connects to the internet through an Ethernet cable or wirelessly. Wireless routers permit you to create a home wireless network, popularly called Wi-Fi network. Sometimes, a modem has a built-in router facility and allows you to have a Wi-Fi network without purchasing extra hardware. Now, assuming that you have a good knowledge about different internet connections and ISPs, let us proceed about how to connect your device to the internet. Dial-up internet connection is backdated and very slow. It is not preferred by users anymore. Still, it can be found in some rural areas. Dial-up internet needs a phone line and can connect one person per phone at an instance. Most of the new computers lack components to support dial-up. Hence, often an external USB modem is bought additionally. Often a dial-up internet provides two phone lines, one for the modem and one for the phone. Connect one of them to the phone jack on the wall and the modem. Using the other line, insert one end in the modem and the other end in the modem jack of the computer. The phone jack in the computer must be noted by a small phone next to it. Manually set up the dial-up connection on your computer and complete the modem settings. For connecting the first time, configure the modem’s network settings, and this may differ from OS to OS. However basic pieces of information required are the same, like dial-up phone number, username, and password. After all settings are done, open a web page to test your connectivity. It may take time to load as the dial-up internet is very slow. Make sure your computer is close to a wall cable socket. Plug one end your cable modem to the computer and the other end into the socket. Plug in the modem’s power cord. Few modems may have on/off switches. Mostly, plugging and unplugging aids in turning them on and off respectively. The cable modem takes some time in booting when turned on. The process ends when the majority of the lights on it are switched on and have stopped blinking except one. Contact your ISP if you have bought a new modem. You will need the serial number and MAC address of the modem, written on the bottom or its side. To test the internet connectivity, open the web browser and go to a website you have never visited before. If it loads, then your connection is successful. Going to a site you have been to of late is not advisable as the browser may load it from its cache. To set up a DSL internet connection, the first four steps are the same as cable internet connection. Only, the modem is DSL modem instead of a cable modem. Then, type the IP address of the modem in the address bar of a browser to log in to the administrative screen of the modem. The IP address is usually printed on the modem or obtained from its manual. Enter your DSL account username and password on this screen into the PPPoE (Point to point protocol over Ethernet) fields. The username is generally an email address. Contact your DSL ISP if the criteria are not known to you. Save your settings. The internet light must turn green to show that you are online. To test your connection, do as you read before for a cable modem. Devices can connect to the router by an ethernet cable directly. However, if a device, for example, a laptop, does not have components to use the ethernet cable, get the necessary adapter. Connect one end of the ethernet cable to the broadband source, which is a router, or a modem in some cases, and the other end of the cable to the ethernet jack of your computer, located in the back of it. Set up your computer settings so that it recognizes the ethernet. Most probably, you need to turn off the wireless connections to allow your computer to recognize the ethernet connection. For testing the connectivity, open a page in the web browser and observe if it loads. Troubleshoot if you cannot connect. Make sure the cable, the jack and the router are functioning correctly. Reset router if required or else contact your ISP. Ensure that the wifi connection of your device is on. Navigate to the network settings or click on the wifi icon on the computer’s toolbar. It displays a list with the names of available connections in the nearby area. Find the name of your wifi network. The network may require a password for establishing a connection. The default password can be obtained from the router or else ask the person in charge of the network. It takes a few seconds for the computer to connect. To test connectivity, try opening a reputed and reliable web page to ensure it opens and does not crash. So, this is how you can establish different internet connections. But sometimes you may face problem connecting to the internet. Let’s see what all you need to do then. Can’t connect to the internet. What to do? Many things can go wrong and cause trouble connecting to the internet. Let us see what are they and how to deal with them. Often we confidently overlook the point whether the network cables are loose and unplugged. Maybe someone at home unplugged the router, and you are not aware of it. Instead, you go into the panic mode of failed internet connection. Make sure your wired/wireless network hardware is turned on and plugged in tightly. The website you visited may be temporarily down. So do not conclude that there is no internet connectivity by just visiting one site. Go through several reliable sites before considering your connection defective. Two devices on the same network, when possessing the same IP address, function improperly. Resolve the conflict for uninterrupted connectivity and their proper working. For example, manually change the IP address if your network uses static IP addresses. Have you gone outside your wireless signal range? The farther your device is from the wireless access point, the slower is the connection until it breaks. Thus, the distance between them determines the performance of the wifi network. If you fall outside the available range, it is inevitable that you will not get the internet connection. Technical faults with the router like overheating, huge traffic are some obstructions that prevent the computer from the internet connection. Also, if the encryption keys and passphrase on the access point are modified, devices previously working will be precluded from establishing a connection. Make sure these vital specifications are not changed unknowingly. Did your ISP block you? Not paying the subscription on time or indulging in activities like sending spam emails, downloading illegal content or exceeding bandwidth caps may prompt your ISP to block you. Contact your ISP to solve this issue. Therefore, we see that there is scope for various problems when connecting to the internet. Try to figure it out and act accordingly. To have internet access, you need to choose the type of internet connection depending upon the ISP’s availability in your area. Hardware like modem or router will be required as per your choice of internet connection – whether it is DSL, cable, satellite or wireless. 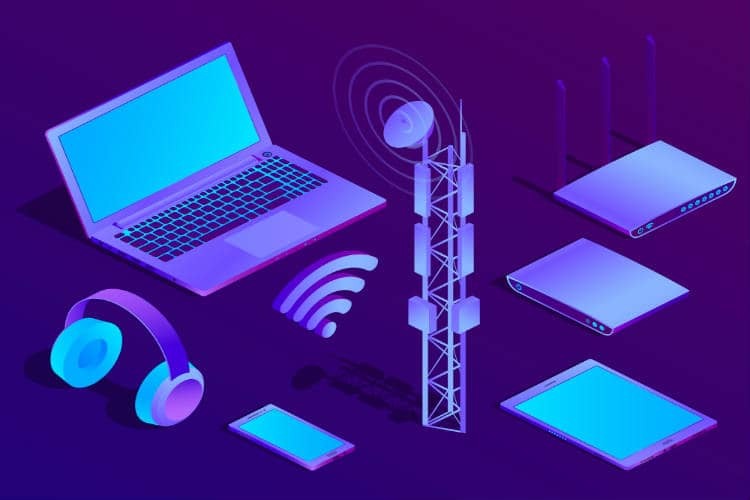 Select the type of internet connection suitable for you after doing thorough research on the various types available, their advantages and see if their features suffice your requirements. For example, dial-up internet is the cheapest but slowest. You should choose it when it is the only option left to you. Otherwise, prefer broadband connection which is faster and offers better performance. You should be wise in choosing your ISP, considering essential points like its availability, speed, reliability, contract, customer care, etc. to get the best service in the price you can afford. Take help from your ISP in setting up the connection. Contact them if you are in trouble and cannot find the reason.